Try Silver Blend tobacco if you are looking for a high VG sub-ohm e juice with a smooth vanilla tobacco taste. 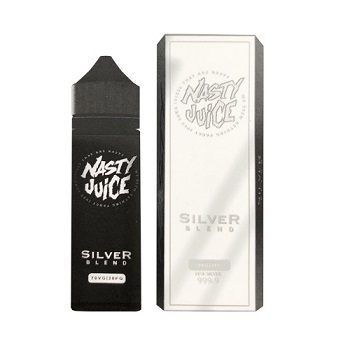 Silver Blend from Nasty Juice Tobacco Series is another authentic classic from this new range of E Liquids. A blend of traditional Tobacco flavors accented with Vanilla Custard notes is a perfect combination that will be welcomed by new vapers transitioning from smoking, to connoisseurs alike.